An Explosion of Late Summer Color! You'll stand up and cheer when you see your Goldenrod 'Fireworks' (Solidago rugosa 'Fireworks') burst into bloom in your garden this year. You have always enjoyed seeing goldenrod blooming in the wild along freeways and in fields. Its golden-yellow flowers are unmistakable in late summer and fall when many other perennial flowers are tucking themselves in for the year. Bring some of that pleasure home with the much more tame 'Fireworks'. Use 'Fireworks' liberally in the fall perennial border. It looks right at home in wild meadow gardens or any naturalized area. This is an especially good selection for a rain garden as it doesn't mind moist soils. This is a compact, clump-forming perennial producing branching clusters of golden-yellow flowers. This goldenrod blooms late summer-fall amid rough, hairy stems. The flower clusters radiate out in all directions and resemble streaming yellow fireworks, which is where it gets its name. Contrary to popular belief, this is not the cause of fall allergies, like Sneezeweed or other Goldenrod-type flowers, so plant with abandon! 'Fireworks' reliably provides end-of-season color in blazing shades of yellow. 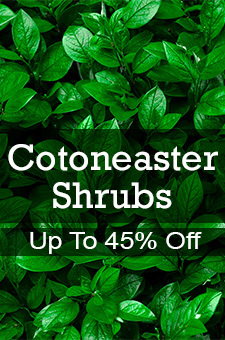 Its tall shrub form and clear green leaves give great structure in the garden all year, even without the flowers. Bees, butterflies and birds love it for shelter and nectar, but deer won't bother it. Win-win! These sell quickly so don't wait too long!